Congratulations. You’ve made the decision to have better health and get screened. We are here to help. 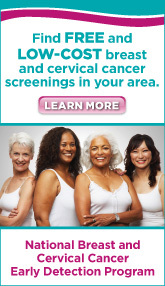 Our first step is to help you find a medical center where you can get screened. Here is a map of the twenty four main hospitals in Alaska. Here is a map of tribal health hospitals and clinics in Alaska. Here is a map of our partners, with offices that can assist you in your search. Get a Pap test every 3 years if you are 21 or older and have a healthy cervix. Most insurance companies cover the cost of screening. However, it is also common to be without insurance. For those who are paying out of pocket expenses, our financial guidelines can help you determine if you qualify for help. The median cost of a mammogram in Anchorage is $250. The average cost of a Pap test is under $75. We get it. Screening can be stressful. But you don’t have to do it alone. Now is the time to let the people closest to you know what you are up to. Share your reasons for getting screened – whether it is for your own health, or because you care about your family, or out of a sense of responsibility for your community – whatever the reason the people who know you best will want to support you and provide the good vibes that give you strength. For common symptoms associated with Breast Cancer click here. For common symptoms associated with Cervical Cancer click here. For healthy recipes to support your wellness plan click here. For unique ways to support yourself click here. If you are a caregiver of someone who is undergoing treatment click here. If you are a family member of someone who is undergoing treatment click here. For informational and inspirational videos, click here.